All of the below information comes directly from job reviews written by PA Consulting Group employees based on 80 reviews. 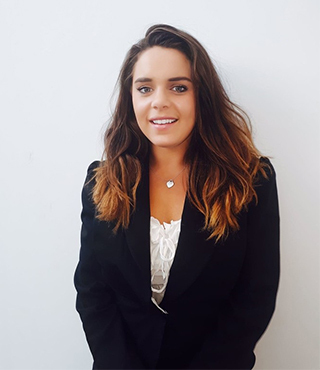 Think about the reasons why you really want to apply for this role, why is PA the best choice for you, what makes you a great candidate for PA and make sure you reflect that in your Cover Letter. Tailor your CV for the job you are applying to, do not send just a general CV that you send to other companies. Ensure that you outline your extra-curricular activites as well throughout your application as these will portray more who you are. Telephone Interview: For me these included a series of questions where I had to show that I had previously developed some skills which were required in the job description. It is important to read carefully the job description as it will probably help you anticipate some of these questions. 1-2-1 Interview: my experience was great. It was the best interview I ever had. I felt as if the interviewer was actually interested in me as a person, outside my academic achievements. I ended up talking about my hobbies too, which I believe can show a lot about your personality and whether you fit with the company culture. Group Exercise: The best way to prepare for this is to go through some mock group exercises if you have this option at uni. If not perhaps ask some friends to help you go through some group exercises you may find online. It is worth having such an experience under a tight deadline, so that you know what to expect. It is important to be collaborative, to show your ideas and to respect others ideas even though they are different than yours, perhaps you can build on them and even create a new idea. Case study exercise: From the beginning, it is important to clearly state your view and the main arguments you have for explaining your view. Then re-introduce each argument and further explain it. Finally, summarise your view and the three arguments you just presented. Also, be prepared for being challenged, it is a typical experience you can encounter on client site. Be Confident in what ever you know. Try to demonstrate previous experinece of working in a professional environment, demonstrate industry knowledge if it is there but if there isnt any dont be afraid to admit that you dont know about it but find it interesting etc. How many golf balls can fill an mini-cooper? In PA Consulting Group it is not about having pointed elbows as many other consultancies. You need to be interested in working in a team environment and be interested in combining consultant skills with a deep sector knowledge. Be precise with your experience, outline what you did specifically and what outcomes occurred because of your actions. Don't be the person you think they want to be and just be yourself; PA looks for skills which can complement other individuals. Play to your strengths and be willing to learn - no-one can be good at everything! Spent a lot of time researching PA and tailor your CV and Cover Letter towards PA's mission statements. If possible seek out current PA graduates for conversations. If you get to an interview stage, don't worry about having stacks of extra curricular university activites, I didn't and I got the job - just make sure you are confident, friendly, ambitious and open to being challenged. The phone interview is competency based, so make sure you have read up on PA, and have a series of solid, well thought out answers on why you actually want the job. Be prepared to answer questions about where you see yourself in the future, and what drives you. PA appreciates honesty and ambition a great deal. The assessment centre and partner interviews test your understanding of how PA operates to a greater extent. This is mainly to see whether you will be a good fit and have the mentality to suceed in a fast paced, results based consultancy firm. Read up on the company and their values, try and get a feel of the type of person they are looking for and try and adjust to that when writing the application letter. Make your application specific to the role. Show what you have got out of things you have done. Be honest and enjoy it. PA is a very open and honest organisation so my only advice would be to be yourself. Try to highlight the strengths you can bring to PA and do some reading around the industry or area you are applying for. However, you won't be expected to be an expert. I was asked various compentency questions, for example: if you had some data you were working on for a client that was crucial to the end result of the project and you discovered it was low quality. What would you do? The other questions focused around what I had done at university, any previous experience and other more general questions just getting to know me as a person. Research the company before you apply and get to know what we do and how we operate. Be yourself at interview and recruitment events - you'll find the people interviewing you may well be working on assignment with you when you start. Be yourself and show what characterizes you. Be enthusiastic about your speciality and show clear technical depth as well as good personal skills. Try to get plenty of work experience in Engineering in your summer breaks at university, detailing what YOU did rather than the team you worked in did. Show that you are interested by writing about projects that you have done in your spare time. Be yourself and be prepared to answer competence questions as well as in depth technical questions. Be prepared to be put in the deepend and challenged. Don't be afraid to say you don't understand something. Reach out to other members of the firm if you need help. Know the sector you want to apply and tailor the application towards it. Demonstrate how you can add value. Quality is everything, know your sector and become an expert. Common sense and networking are important. Research the clients and the work PA do, as well as the type of skills you think you would need to be of value to the company. The interview process is usually quick. Try to meet as many people who work for the firm as possible. It is a very social firm, everyone is willing to help. You need to be personable and willing to network with others in order to get yourself known. Be well prepared, know about the company and your interests. Be bright and keen. Don't come across as too aggressive. They want team players, not sharks. Be proud of your achievements. The interviewer won't be impressed if you don't boast a little bit! In group exercises: it is most important to get a good result so make sure you consider other ideas in the teams and recognise when someone is trying to get involved as their idea may be the best one. Be clear of what you expect from the employer in terms of projects, mobility etc. Show your most positive and analytical side during the interview. Get relevant work experience in the sector you are applying in whilst at university. It helps to show interest and gives you experience of working life. There's not a long training period at PA so you are expected to go from the start. Previous work can definitely help. Practice case study work and presentation skills. Be familiar with the format of a group exercise. Be friendly. Focus on what makes your educational and life choices interesting for PA.
Make sure, you also show the person behind your experience and education - we also want a good colleague. Don't over sell yourself, be honest and direct. Be structured when you present yourself and a case if you are given one. Go for it even if you're not 100% sure about it. I found out that it was what I really wanted as I went though the process, learned more about the company and met more people. Think about what a consultancy would actually want from a candidate - it's not just about having a good level of knowledge but also how you work with others and get your points across. PA offers grad roles, not a grad scheme. Do not expect to receive regual career support or advice. Rather, be prepared to be challenged and given some responsibility from the onset. 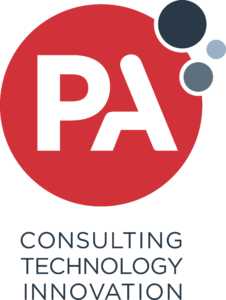 Think about why you want consultancy - PA is a great place to work in if you thrive with change and challenge. PA has a very strong focus on people and development, there is also a strong focus on quality and integrity, not just 'who shouts the loudest'. Look into all the historical projects we have been involved in and try to have an understanding of the processes behind them. Was asked what my proudest moment was in a career sense. Apply early and relax, they are keen to help you through the process as much as possible and not work against you. Enjoy! After you get through the phone interview you will be interviewed by future colleagues in the same area, not by HR, so its important to be interesting and enthusiastic and leave a positive impression. I contacted HR and met up with someone in the practice I was interested in an informal chat before applying. This gave me an idea of what to expect from the firm and also helped me begin networking before joining. In your application, draw upon past experience which applies to Consulting - PA really value previous experience. Also, it sounds simple but be yourself, PA hire genuine and honest people so don't put on a front of someone you're not! Really prepare for the interviews and assessment centres because although PA are very good at putting candidates at ease, you can still get some challenging questions!